Renowned for his social activities, Abdul Kader Mollah is a well known leader. He is presently an Assistant Secretary General of Bangladesh Jamaat-e-Islami. He was born in 1948 at Joripardongi village in Sadarpur thana of Faridpur to a respectable religious family. He started his study life at the Joripardongi Government Primary School. A meritorious student from the beginning, he was a recipient of both Primary (1959) and Secondary (1961) study scholarships. In 1964, he passed his secondary studies from Amirabad Fazlul Haq Institute securing first class. After that he got enrolled at Rajendra College in Faridpur and in 1966, passed his higher secondary studies with distinction. He passed his BSc from the same college in 1968. In the face of deep financial crisis, he abandoned his studies for a while and began a career as a teacher at the college. In 1970, he enrolled in the physics department of Dhaka University. He was unable to give his masters final examination in that department in 1971 due to the war of Liberation. In 1975, he broke all previous records when he stood first in first class at the Diploma in Social Studies Education Administration. Afterwards in 1977, he gained his masters degree in Education Administration where he again secured first place gaining first division. Continuing upon his involvement with teaching, he joined as a part time teacher at Udayan Secondary School, an establishment situated at the heart of Dhaka University, in the same year. After the results of his M.Ed got published, he joined Bangladesh Rifles Public school and College as a senior teacher. Later, he discharged his duties as the Acting Principal of the college. From there on, he joined Islami Foundation Bangladesh as a Cultural Officer. In 1978, he joined Bangladesh Islami Centre as a Research Scholar. Till 1979, he was the Founding Secretary of Manarat International School and College. In 1981, Abdul Kader Mollah joined the veteran newspaper, the Daily Sangram as the executive editor, starting his career in journalism. Abdul Kader Mollah is also known for his decorated political career. While studying in class 8, he was drawn towards the concept of Communism. As a result, he joined Chatra Union, the student wing of the Communist Party. He was with the Chatra Union till 1966. After his higher secondary examination, he got acquainted with one of the most illustrious Tafseer series of the 20th century, the Tafhimul Quran, written by Maulana Maududi. He began reading and studying the series with enthusiasm. Deeply moved by the literature of Maulana Maududi, he was strongly attracted towards Islam. This resulted in him joining the erstwhile Islamic student movement, the East Pakistan wing of the Islami Chatro Songho, in 1966. He became a “shodossho” (member) of the organization. He served the organization in various important capacities. He was the President of the Shahidullah Hall unit of Chatro Songho at Dhaka University. Later, he was elected the President of the Dhaka University Unit of the Chatro Songho. Afterwards, he became the Dhaka City Secretary of the organization. At the same time, he was also a member of the Central Executive Committee of the organization. After the end of his student life in 1977, he joined Jamaat-e-Islami Bangladesh in his journey to become part of the wider Islamic movement. He took oath as a ‘Rokon’ (senior member) of the organization in 1978 in the month of November. In the aftermath of this promotion, he was given the role of personal secretary to Professor Gholam Azam, the incumbent Ameer of Jamaat. He was also elected as a member of the Shura Council and Executive Council of Dhaka City Jamaat. In a short time, he was also elected as a member of the central Majlis-e-Shura Council of Jamaat. In 1982 he was bestowed with the position of Secretary of Dhaka City Jamaat. After that he also carried out his duties in his position as Naib-e-Ameer of Jamaat Dhaka City. In 1985, he was elected the Ameer of Jamaat Dhaka City and became a member of the Central Executive Committee. In 1991, he was made the Central Publicity Secretary of Bangladesh Jamaat-e-Islami. 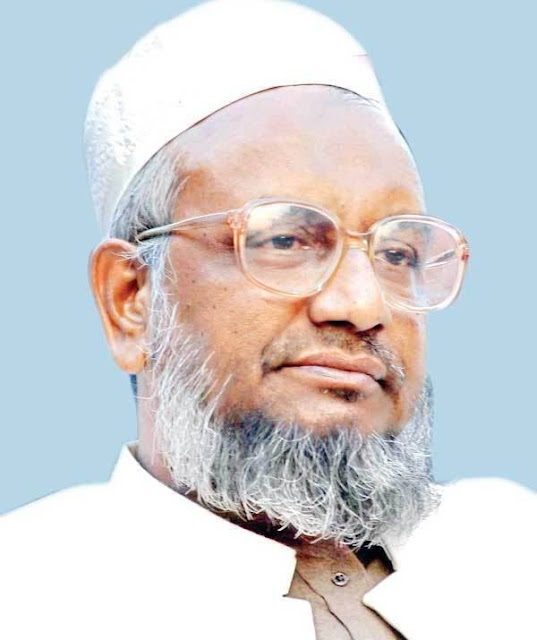 In 2000, he was made an Assistant Secretary General of Bangladesh Jamaat-e-Islami. Alongside, he was also an important member of the liaison committee of the 4 party Alliance setup to facilitate the movement against the excesses and malpractices of the Awami League government. Abdul Kader Mollah was imprisoned at least four times before his present ordeal. He was first arrested in 1964 for his role in being part of the movement against the oppressive Ayub regime. He was again arrested in 1972 without any reason. However, he was released from the custody of the local police station in the face of a public outcry over his arrest. He was again arrested during Ershad’s rule for his important role in organizing the movement against the dictatorship. He was set free after 4 months after a high court ruling that declared his arrest illegitimate. He was also arrested by the then BNP government in lieu of his involvement in the movement to push forward for the caretaker government in February 1996. Abdul Kader Mollah also has had a lot of contributions as a social benefactor. He was twice elected as the President of the Dhaka Union of Journalists in 1982 and 1983. He is actively involved of various social and educational institutions. Among them Badshah Faisal Institute, Islamic Foundation Society and its School Managing Committee, Sadarpur Madrassah and Orphanage, Faridpur District Hajidangi Khademul Islam Madrassah and Orphanage, Sayyid Abul Alaa Maududi Academy are mentionable. He is a serving adviser to all these institutions. Other than that he served as the Secretary of Badshah Faisal Institute and its Trust for a consecutive three times. He was the founding secretary of Manarat International School and College. Abdul Kader Mollah is a celebrated columnist who has widely written articles and columns on an array of national and international issues. He was also a prolific writer on various issues in Islam. His well thought out articles and views have been published in various dailies, weeklies, monthlies and magazines. Apart from his literary prowess, he has also travelled to various countries including Saudi Arabia, United Arab Emirates, Japan, Singapore, Pakistan and India. Abdul Kader Mollah got married to Sanowar Jahan on the 8th of October 1977. Their family has been blessed with 2 sons and 4 daughters, all of whom are studying at various renowned educational institutions and involved with the Islamic movement. Begum Saowar Jahan is a “Rokon” of Bangladesh Jamaat-e-Islami.